Welcome to the Open Beta! For those of you new to RNG Eternal, allow me to introduce myself. I am Neon (NeonBlonde+6851 in game – feel free to add me or send me messages in Discord), and I specialize in high-level content, designed for heavily enfranchised players. Although I hope to touch on some new-player focused content soon, I should warn newer players that my “Going Deep” series is really not built for them. I also do a regular Podcast that can be found here, where I talk about all sorts of nifty stuff with really brilliant guests on all things Eternal. 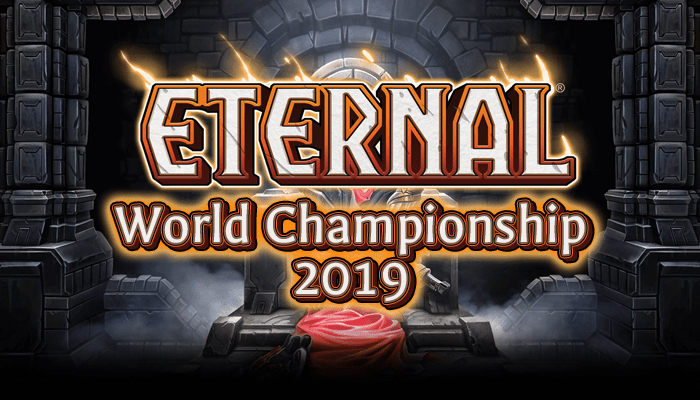 Before I launch into my actual article, I just want to take a moment to thank everyone that helped to make Eternal’s Closed Beta great. In many respects, I feel like I “won” the closed beta. I may not have ended at #1 on the ladder, but I got so much out of the experience. In addition to consistent success on the ladder, I was able to get a full 4-of collection of all non-premium cards. I’ve had a chance to make a ton of friends from all around the world, and start a Podcast where I got to chat with Patrick F*ing Chapin. I just wanted to take a moment to thank everyone that has helped make the experience such a blast: from Scarlatch and the entire team at DWD, to community members I collaborated with on various projects or battled against on the ladder, to even the random people I was able to connect with in Discord. This is a great game and a great community, and it is exciting to see it move to the next stage of its evolution. Enough of the mushy junk, lets talk about some digital cardboard! This article is going to break down some of what the patch changes mean for the Ranked meta game. The changes introduced in Patch v1.14 are wide ranging and numerous, so it will be difficult to get everything right at first, but lets try and get a first impression of what everything means. In this article, I will try and give a big-picture first impression of the new environment, as well as discuss the applications of some new cards in the Ranked environment. My next article will discuss the changes to existing cards, and how these changes affect specific decks. If there are any changes that I have not discussed that you feel are important, be sure to let me know! One final note before we begin: I am going to be speaking from the perspective of a budget-free environment. We are obviously currently living in a world where budget matters a lot, but that world will not last very long. Closed Beta players got bonus packs for their playtime prior to the account wipe, and most are well on thier way to having at least one competitive deck completed. I have personally opened 130 packs and have yet to spend any money, but I already have a respectable start on Feln Control, Combrei Midrange, and Stonescar Burn. Anyone who wishes to so also has the freedom to buy packs and drafts to accelerate their progress. If I find myself writing new-player friendly articles, I will discuss budget concerns more actively. For our purposes today, any lists I discuss will not consider budget as a major concern. This patch was not just an injection of a few new cards to the ecosystem, or a couple of minor balance adjustments. The introduction of one card be enough to dramatically shift the meta (e.g. Scouting Party), but there is a long list of changes to pre-existing cards, ranging from simple buffs and nerfs to total overhauls, and even the removal of cards from the game entirely! All this points towards a potentially major shift from the pre-wipe meta-game, even once players are past the point where collection size is a concern. My inital impressions indicate that the entire format has been “powered down”. Multiple cross-archetype staples have taken at least minor hits. This will make card evaluation a little bit more difficult, as the entire format has shifted slightly, rather than just one particular decks falling down a peg. Over the last two Tier Lists, thirteen separate archetypes have made it to Tier 1 or Tier 2. About two thirds of these archetypes have received a substantial nerf, including several decks that may need to be entirely redesigned in order to accommodate the changes. Although several cards did receive bonuses, these were almost universally considered fringe playable cards, meaning that they are more likely to show up in decks that are new to high level play. A second thing to note is that Stonescar decks have lost almost nothing despite all the changes. Aggressive token-based go-wide decks have always been a top tier archetype throughout the closed beta. Stonescar Midrange, and more recently Stonescar Burn, have been at the peak of top tier play occationally, but have always made their presence felt even at the highest levels of play. Of all the balance shifts, the only one that affects these decks is the change to Pyroknight, which is a relatively minor nerf. I would not be shocked to see these archetypes claim their spot at the top of the Tier List in the coming weeks. With Stonescar Jito being a possibly dominant deck, players will naturally turn to the generally accepted counters. Any player that wants to beat Jito can do so by packing a playset of Lightning Storms and Plagues. I don’t advocate going quite that far, but I would not be surprised if some variant of Feln Control finds itself at Tier 1 early in the format. Control decks are notoriously difficult to build in wide-open formats, as you will struggle to line up your answers with your opponent’s threats. With that said, the first person to find a reasonable build of a control list will likely be very successful. With this initial sketch of our landscape, let’s talk about what new toys we have to play with! Of all the new cards, this is the one that I am watching the closest. This card feels to me like a Swiss Army Knife, in that it takes on a different roles in different situations. To begin with, this card fails the “vanilla test” as a 3 power 4/1. However, the vanilla test is not a good metric for evaluating ambush cards, as they play differently than regular cards, but it should still be noted that a 4/1 for 3 power is below the curve. Given the slightly bizarre combination of stats and abilities, I think it will be best to describe some gameplay senarios in order to get a sense of how she could be played. 1) Opponent plays turn two Crownwatch Paladin, turn three Shogun’s Sceptre, and attacks. You ambush in Countess and block the Paladin. 2) Opponent plays Sandstorm Titan on turn 4. You play out Countess and Ultimate on your next turn. They must either chump block with Titan, or take 6 damage to the jaw. 3) You are playing a midrange-to-controlling Feln deck against Icaria Blue. If they spend turn 5 equipping a Staff of Stories, you can play Countess at the end of turn of their turn, then Ultimate and kill the Staff in 1 attack. In addition, she can redirect relic weapon attacks from more important units, something Shadow did not have access to in the past. You can see here the amazing array of talents this woman has. That being said, timing her properly is important. Given how fragile she is, she is best used to punish people that power down. That would be a major strike against the card without Ambush, but with Ambush you are better able find the right moment to accomplish whatever task is needed. Overall, I feel that Countess does a number of things well, and will fit into many decks at least as a role player. There is a reasonable amount of skill and finesse in playing with/against this card, as you can be sorely punished for powering down at the wrong spot from either side. I was lucky enough to open multiple copies, and have been impressed with her so far. I’m very interested to see where she goes. This new Legendary Relic is a bit of an odd-ball. I opened one in my “thank you” packs, and have had a chance to play it multiple times in ranked games. To begin with, I will explain how this card actually works, as the wording is a bit unclear. When the ability finally activates, you draw five totaly random spells – not five random spells from your deck, or five random Feln spells, but five random spells chosen from every collectable spell. I have hit everything from Whispers from the Void, Great Parliament and Vanquish on the high end, to Temper and Rolant’s Favor on the low end. My “boss” aReNGee sent me the following picture from one of his games on the ladder. Seems about average for him. aReNGee Note: Accelerate WAS cast and that game WAS won. There are some other things that are important to remember in evaluating this card. First, it costs no power to activate. This is obviously a huge bonus, as it allows you to gain some health in exchange for all your durdling. Second, you must sacrifice the Cauldron to get the spells. This is a huge downside, as you cannot pitch the Decays and Dazes you brewed up right back into the Cauldron. It also seems far-fetched that you would be running a full playset of Cauldron in many decks, as they are obviously a low impact 3-drop, and having multiple in play at once sounds pretty miserable (although I guess pitching the second Cauldron to the first is synergy…. or…. something?). A final note on just functionality – Feln Cauldron is exceptionally weak to Relic destruction. If you suit up your team with a Xenan Obelisk or plan to lock down the board with Eye of Winter it certainly stings to lose your fancy Relic to a Furnace Mage or Decay. That is nothing compared to having your Feln Cauldron picked off once you have invested 4 cards into it. I’m not a mathematician, but I’ve calculated that is a billion-for-1 exchange in terms of card advantage, which is a recipe for losing games very badly. If a dedicated Feln Cauldron deck does become popular, I imagine Eilyn’s Favor and/or Protect will needed in order to guard this high-variance Relic. Now that we all understand how the card functionally works, let’s think about how it plays. The two applications of the card that seem the most logical are Feln Control and Reanimator. The application in Feln Control is actually quite interesting. There are a lot of cards that are at least somewhat situational in a Feln Control list. You don’t want Celestial Omen or Azindel’s Gift against Jito, just as you don’t want Lightning Storm or Plague against Icaria Blue. The difficulty of Feln Control has always been having the wrong mix of cards for a given match up. Now you can pitch these off-match up cards for the hope of getting something better. In addition, there is always the chance of flooding out, where trading in 5 power for 5 spells seems like a reasonable exchange. Overall, I think Feln Cauldron might connect as a fringe card in a Feln Control decks, as it is too slow and inconsistant to become a core component of all builds. The application that seems more realistic is in a Reanimator shell. In Part 2 of this article I will discuss the changes to Champion of Cunning, but it is worth mentioning now that it no longer grants Charge to your team, which was one of the core features of traditional Reanimator lists. For this reason, I feel that Reanimator is dead until someone finds a way to revive it. Leaving this aside, Cauldron could fit well into a new generation of Reanimator lists. You are able to gain health while filling your Void and even drawing some removal spells to continue buying yourself time. You can also pitch Privilege of Rank to Cauldron to both continue hitting power drops as well as drawing more fodder to feed the Cauldron. Once again, this is all predicated on Reanimator even being a deck. Even at its peak Reanimator struggled to crawl onto the tier list, and it has already been hit by a major nerf. We will see if some build can come together. Haunting Scream is separate deck from Reanimator, but has a similar feeling in some respects. In the case of some cards in that deck, such as Direwood Beastcaller, you would rather they never touched the battlefield to expose themselves to silence, and would much prefer that they went straight to the void to allow you to put it into play with Haunting Scream. aReNGee shared a Cauldron Scream list with me that I will pass on (this is a version that is heavily constrained by budget). With all this being said, I don’t yet know what to think of Feln Cauldron. I hope it is good, as it is a sweet design, but the variance may be too much to seriously build around. Feln Cauldron is certainly an interesting card, and I’m sure many dedicated brewers will try to figure out how to make it work. Our second neat new build-around-me Relic! Before I launch into a discussion of the types of decks it would be played in, I should clarify how it works. If you are familiar with Magic: the Gathering you may read the card text as “When you cast the second creature spell in a turn, draw a card.” That would be an incorrect. Obviously you draw a card under those conditions, but Vault of the Praxis is much more generous. Translating this into Magic: the Gathering terms it should read closer to “When the second creature enters play under your control in a turn, draw a card.” Vault counts all units entering play as playing them, so simply playing Grenadin Drone alone satisfies the condition and will draw you a card. They can also come into play from your Void, such as from Ephemeral Wisp or Dawnwalker. That is a pretty wide set of conditions, which allows you to draw a lot of cards. To begin evaluating this card, we should consider what it is being compared against. Given how unique it is, one would think it is very difficult to come up with a clean analogue, but we are actually lucky! Ancient Lore is a 4 power draw spell in Time. It draws 2 cards for the same cost (with some minor benefit that we can ignore). Seeing as Ancient Lore currently would be classified as fringe playable, we can say Vault of the Praxis must draw at least 3 cards over the course of a game to be seriously considered. Most midrange Time decks would not meet this criteria, but in a properly constructed deck I feel that it will be pretty easy to draw an extra card almost every turn from Vault of the Praxis. Although there are non-trivial deck building costs, and the Vault is a terrible top deck in the late game, there is potential here to set up an engine with Vault at its core. It should be noted, of course, that the competition at 4 power in Time is fierce. Sandstorm Titan, Xenan Obelisk, Praxis Displacer, and Marisen’s Disciple already fight for that spot (Sandstorm Titan quite successfully), so Vault of the Praxis will need to draw some serious cards to be competitive. All sorts of potential tokens lists are ultimately possible. Close to the end of the beta I saw Patrick Chapin playing a 5 faction tokens list that was very cool. Whispers of the Void, Assembly like, Torrent of Spiders, and Great Parliament are a short list of cards that combo well with Vault of the Praxis. I look forward to the Vault brews of the future. This is merely part 1 of 2. Tomorrow I will try and discuss the galaxy of changes to Ranked cards. There is a lot of stuff to process here, and I hope you join me in trying to figure this all out!